Kyra Condie is one seriously durable woman. As a professional rock climber for over a decade, Kyra spent her youth scaling playground jungle gyms and summiting the fridge in her mom’s kitchen. But climbing didn’t come easily to this tough Minnesota native. 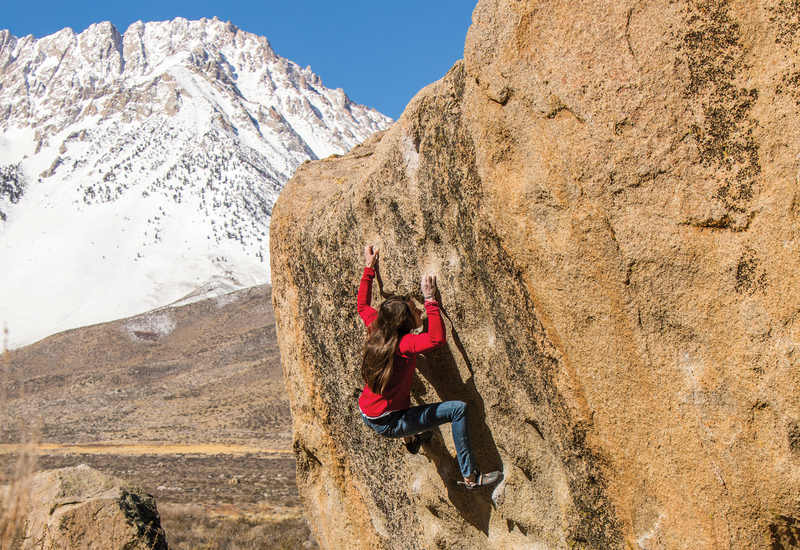 Diagnosed with childhood Idiopathic Scoliosis and a 72-degree spinal curve, climbing became almost impossible for Kyra because an entire section of her back couldn’t bend or twist. At 12, she endured surgery to straighten her spine and fuse 10 of her vertebrae. Kyra was devastated at the thought of never climbing again, but instead of giving up on her passion, the four-month post-surgical recovery fueled Kyra’s determination and she fully committed to the sport. In spite of her physical limitations, she became an excellent problem solver and found new and unique ways to compensate and move her body. She focused on strength and core training as well as a regimented approach to diet. 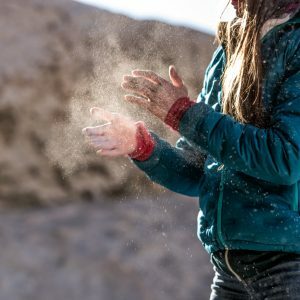 More than a decade later and with six USA Climbing Nationals wins under her belt, Kyra has her eye on the 2020 Olympic Games in Tokyo. Considering her achievements and ability to overcome seemingly insurmountable obstacles, Kyra knows what it means to Live Durable™. 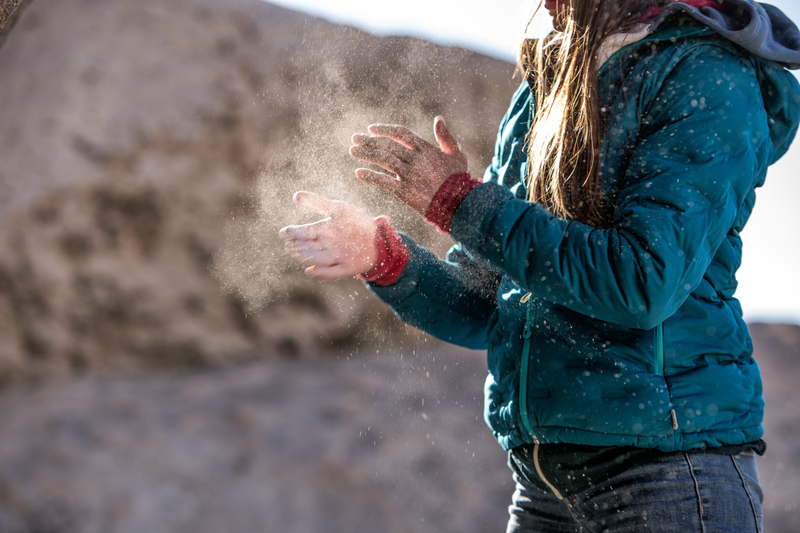 Whether putting up technical climbs at the gym or solving a complex route while bouldering, Kyra needs clothing that meets the needs of her rigorous routine. 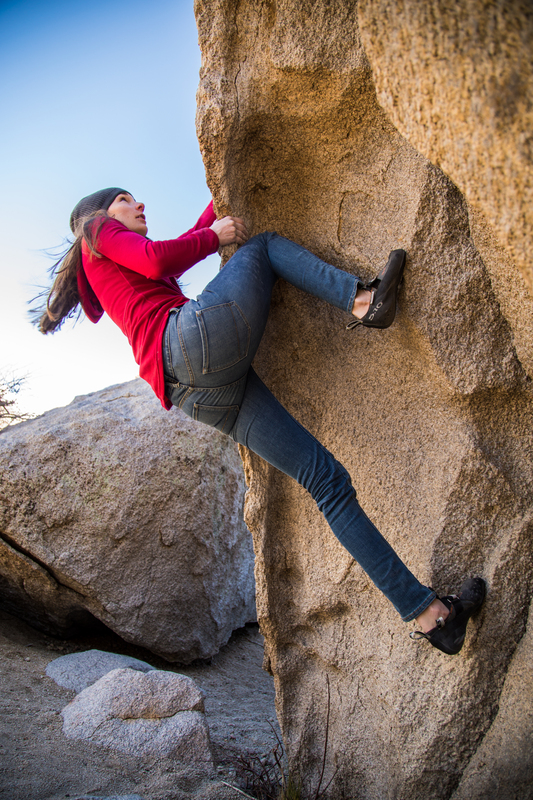 Mountain Hardwear’s new Hard Denim, built with CORDURA® Denim fabric, is exactly what she’s been waiting for. Made with a blend of cotton and nylon, CORDURA® Denim fabric retains the authentic look and feel of traditional cotton denim, but with added toughness and abrasion resistance. Not only are these jeans tough—four times tougher than traditional 100 percent cotton denim*—but they also have a softer side thanks to the CORDURA® brand commitment to innovation, with enhanced comfort, stretch and breathability. 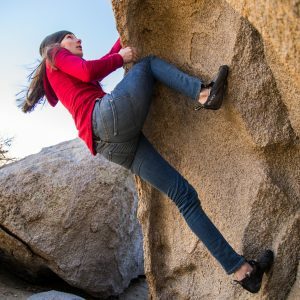 So, if you’re interested in climbing like Kyra Condie, with style, elegance and irrepressible determination, head over to CORDURA.com/50years to learn more about Mountain Hardwear’s Hard Denim, built to last with CORDURA® brand technology. *Martindale testing based on 13.75 oz. denim fabric.